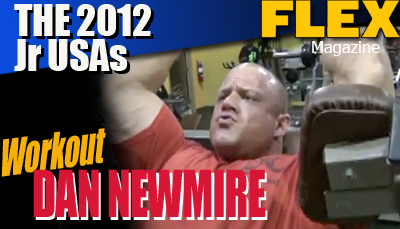 In this training video, Dan Newmire takes us through a back workout at Bev Francis Powerhouse Gym. In this training video, Dan Newmire takes us through a back workout at Bev Francis Powerhouse Gym. Depending on he feels, Dan will vary his workout from heavy sets low reps to lower weight and higher reps.
Watch Dan as he takes us through his back workout and explains his positioning and grip.